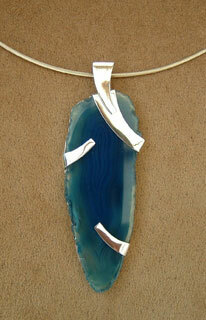 The silver setting for the blue agate stone is designed to complement the pattern of the stone. The pendant articulates from the rider link at the top. This was a commissioned piece.